Thomas Lee "Tommy" Kirk (born December 10, 1941) is an American former actor and later a businessman. He is best known for his performances in a number of highly popular movies made by Walt Disney Studios such as Old Yeller, The Shaggy Dog, The Swiss Family Robinson and The Misadventures of Merlin Jones, as well as beach party movies of the mid 1960s.Kirk was born in Louisville, Kentucky, one of four sons. His father was a mechanic who worked for the Highway Department; his mother, a ... See More legal secretary. Looking for better job opportunities, they moved to Downey in Los Angeles County, California, when Kirk was fifteen months old. In 1954, Kirk accompanied his elder brother Joe to an audition for a production of Eugene O'Neill's Ah, Wilderness! at the Pasadena Playhouse in Pasadena, California. Joe was not cast, losing out to Bobby Driscoll, but Tommy was, and he made his stage debut opposite Will Rogers, Jr. The performance was seen by an agent from the Gertz agency who signed Kirk and succeeded in casting him in an episode of TV Reader's Digest, "The Last of the Old Time Shooting Sheriffs." I did thirty-seven of those in the next five years. I think I did more than any other actor. That was a fantastic training ground. They were hour-long shows, telecast live from coast to coast. I worked with some fascinating people—Sarah Churchill and others — and I started getting known. [5In April 1956, Kirk auditioned for the part of Joe Hardy for The Mickey Mouse Club serial "The Hardy Boys: The Mystery of the Applegate Treasure". 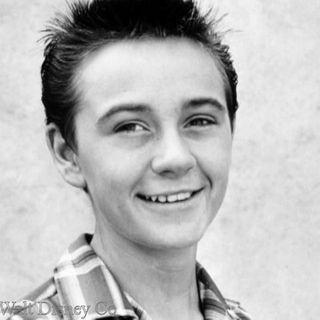 He was successful and was selected to co-star with Tim Considine. The show was filmed in June and early July 1956, and broadcast that October, at the start of the show's second season. The show and Kirk's performance were extremely well received and led to a long association between the actor and the studio. In August Disney hired Kirk and former Mouseketeer Judy Harriet to attend both the Republican and Democratic presidential nominating conventions, for newsreel specials that later appeared on the show. Kirk also hosted short travelogues for the serial segment of the show's second season. He did the voice-over narration for "The Eagle Hunters", and then co-hosted two more travelogues with Annette Funicello. Tommy also did voice-dubbing work for the Danish-made film Vesterhavsdrenge, shown on the Mickey Mouse Club as the serial "Boys of the Western Sea." Around this time it was announced Kirk would appear as Young Davy Crockett, but this does not seem to have eventuated.